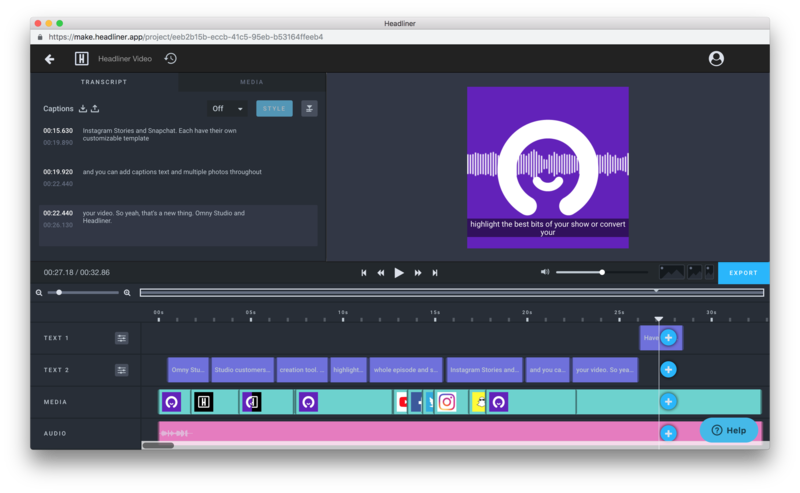 Omny Studio have combined forces with Headliner to give you the most powerful social video creation tool for your podcasts. 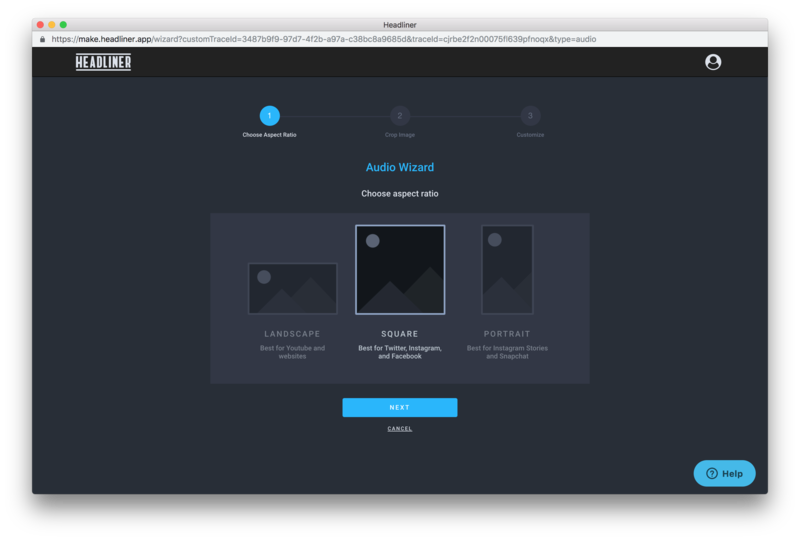 This integration will be activated for all customers very soon but here's a sneak peek in the meantime! And here are the steps we took to make it! 1. Upload or edit your audio so that it's a separate clip in Omny Studio. 2. 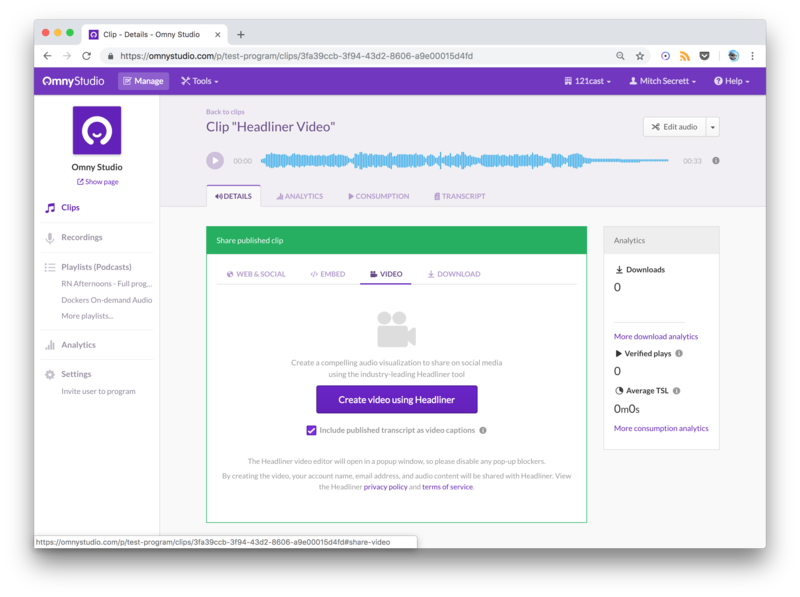 (Optional) If you want captions in your video, you need to transcribe it in Omny Studio, edit it up and publish the final transcription. This help doc has more info on that. 3. 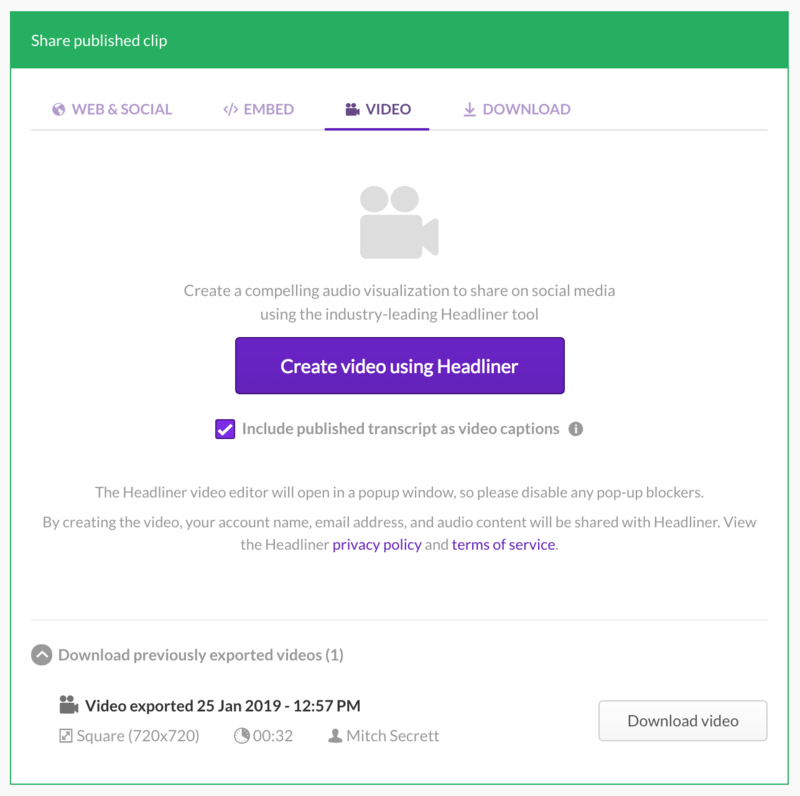 Next, head to the video tab for your clip and click "Create video using Headliner" to be taken to the Headliner video creation wizard. 4. 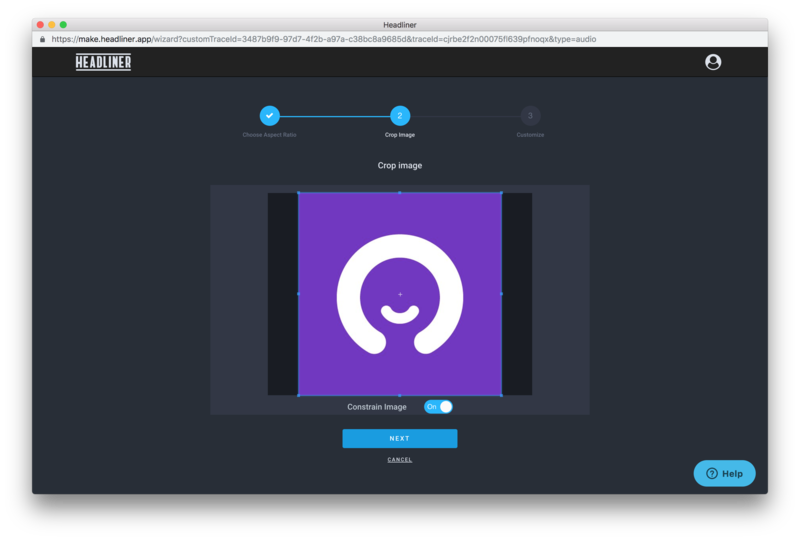 The wizard will ask you to choose an aspect ratio depending on where you intend on sharing your final video. 6. Finally, you're in the video editor which allows you to add text in different fonts, add custom images and transition effects. 7. Once you're happy with your video, click "export" and your video will be rendered and a link will be emailed to you to download the video so that you can then share on social media or on your website! * For videos longer than 10 minutes, the videos are unable to have customised text or transcriptions.